The Punjab police has prepared a report regarding the assets of B.I.S. Chahal, former media adviser to Capt Amarinder Singh, disproportionate to his known sources of income. Sources said Chahal’s assets were worth crores. These included Rs 94 lakh hard cash in form of fixed and bank deposits and property. He still owns a Vijay Super scooter, which was his only possession before coming to power. The properties of Chahal that have been listed by the police include about 20 acres in Bathinda district. He had allegedly took the possession of the land by force using his political links. The land is worth about Rs 2 crore. He also owns one kanal or 50 sq yard house at Mohali that he has rented out to a multinational company, and a three-bed room flat on Tilak Marg in New Delhi. A bank account in the name his wife and daughter-in-law at a Canara Bank branch at Patiala has deposits of Rs 12 lakh and a locker. Another account in name of his son in the same branch has deposits of Rs 22 lakh besides a locker. In the State Bank of Patiala branch, an account in the name of his son has deposits worth Rs 12 lakh and a locker. Besides, the family has fixed deposits worth Rs 50 lakh. Many vehicles have also been found to be in possession of Chahal. These include three Mercedes Benz cars, one Pajero, one Tayota Corolla, one Hyundai Sonata, one Skoda, one Ambassador, one Ford Ikon, one Indica and a scooter. Only the Ambassador car is in the name of Chahal while the Ford Ikon is in the name of former Chief Minister Amarinder Singh. Chahal has been found to be running three buses under the Paradise Transport company on the Mohali-Amritsar and Amritsar-Nangal routes. At the Patiala residence of Chahal, the police yesterday found 20 air-conditioners installed in separate rooms, six LCD, plasma and wide screen TV sets, eight refrigerators, five Geysers, three microwave ovens, 11 sofa sets, five double beds, one luxury bath tub, one Kirlosker generator, 70 ceiling and pedestal fans, three water coolers, 12 carpets and costly furniture. There is a gymnasium with all modern equipment and sauna steam bath in the house. The house has 16 rooms and five bathrooms. A case of assets disproportionate to known sources of income is likely to be registered against Chahal soon on the basis of the list of his properties prepared by the police. Meanwhile, the Patiala police has sought production warrants of Chahal in two cases registered against him here. Chahal has been booked for forcibly taking away a Mercedes Benz car of a local business and defrauding a Mohali-based of Rs 15 lakh regarding the construction of a kitchen at his house. Refusing to grant immediate relief to B.I.S. Chahal, media adviser to former Chief Minister Amarinder Singh, the Division Bench of the Punjab and Haryana High Court, comprising Mr Justice S.S. Saron and Mr Justice Arwind Kumar, today issued notice to Punjab for tomorrow. The notice came over Chahal’s petition under Articles 226 and 227 of the Constitution seeking, amongst other things, protection against arrest and quashing of the police remand order given by a Ludhiana court. Opening his arguments, Chahal’s counsel R.S. Cheema pleaded that the petitioner was in dire need of protection against arrest, given the fact that he was being subjected to torture by the Punjab police. He said that the police was coming up with fresh cases against the petitioner on a daily basis and lost no time in lambasting the conduct of the Punjab police in picking up his client on “flimsy” grounds and registering “motivated” FIRs. “The protection given to the petitioner by the June 1 order of the high court should be extended to the Punjab police,” Cheema averred. He also submitted that the investigation into the case, bearing FIR no 105, registered by the Ludhiana police on June 10 be handed over to the CBI immediately. Building up his case against the Punjab police and the Vigilance Bureau, Cheema said the high court through its June 1 order had already granted protection against arrest by the bureau to the petitioner. The order had a particular tone which implied that the petitioner should not be arrested on a flimsy pretext and this very spirit of the order, Cheema said, had been violated by the police. Cheema wanted protection on a day-to-day basis for Chahal and stressed that given a spate of cases being generated by the Punjab police against the petitioner, it would not be prudent to wait for long as the police would continue to take the petitioner on remand. Mr Justice Saron observed that it would amount to stretching things too far and it was not possible at this stage of arguments, without hearing the state’s counsel, to grant the protection against arrest to the petitioner. The petitioner also sought directions to the respondents, including Chief Minister Parkash Singh Badal, that communication dated April 27, 2007, asking the banks to freeze and stall the operation of the petitioner’s bank accounts and lockers, even before the petitioner was involved in any case, be quashed. A plea was made for a direction that the petitioner be given a week’s notice in advance before effecting his arrest in any case registered in Punjab. Also, the petitioner submitted, the Vigilance Bureau should not arrest the petitioner in any case without prior permission of the high court. It was further prayed that the Vigilance Bureau or any other official connected therewith shall not question, interrogate or harass the petitioner while he was in the custody. BIS Chahal and his five relatives will not have to sleep alongside pickpockets, thieves, drug addicts and other criminals during their judicial custody of two weeks in central jail here. They will be housed in a separate barrack secluded from other inmates. He and others will get separate bathrooms, toilets but have to wash clothes themselves. They will beat summer heat with ceiling fan only and sleep on mattresses. They will however have to contend with fly ash and polluted air in the area due to the presence of several industrial units around the jail compound. The previous Congress government had not done anything to solve this problem, which was a major demand of jail staff and inmates. Clothes of inmates kept outside have fly ash deposit. No wires or strings are provided in the jail for drying clothes as inmates can misuse the facility. Block-4 of the BKU barracks (Bharatiya Kisan Union barracks, constructed specially during the kisan morcha in 80s) was readied since afternoon in anticipation of the arrival of the high-profile undertrial now though there were chances that Chahal may be sent to police remand in this or other cases. A barrack normally houses more than 60 inmates but it would only have 10 persons, including Chahal and five other accused and four cops, who have specially deployed for their security, jail sources said. Jail officials revealed separate barrack was necessary due to threat to their life if housed with other inmates. Relatives of Harchand Singh, complainant against Chahal and others are also serving life term in the same jail. Officials said the other inmates may not have any enmity with him but the threat of harassing or harming them was still there. Former Congress MLA Jasbir Singh Dimpa today suffered injuries on his forehead, allegedly due to “torture” in police custody. However, the police booked Dimpa under Section 309 (FIR no. 127) of the IPC on the charge of attempt to suicide. District police chief, Amritsar (rural), Iqbal Singh, however, claimed that Dimpa tried to commit suicide by hitting his forehead against the wall of the barracks at the Beas police station at about 1.30 pm. On the other hand, Rajinder Singh Tapiala, counsel of Dimpa, alleged that his client was taken from the Beas police station to the Kathunangal police station where he was tortured in the presence of senior police officers. A senior police officer, on condition of anonymity, confirmed that Dimpa was taken to some unknown place. Tapiala said he had gone to the Beas police station on a court order to meet Dimpa at 3 pm, but he was not allowed to meet him. Tapiala said his client told him that he was tortured by the police and had not been given food since 8 pm yesterday. Even he was not allowed to sleep throughout the night. Dimpa also told his counsel that policemen tried to remove his clothes in the presence of senior officers. However, senior police officers refuted the charges of Dimpa. On the claims of the police that Dimpa tried to commit suicide, members of his family said Dimpa was in high spirits when he surrendered before the police yesterday. The members alleged that medical reports of Dimpa were also manipulated. Tapiala said he would move an application in the court to register a criminal case against the police officials, who were responsible for torturing Dimpa. Members of Dimpa’s family alleged that one of the senior officials of the Amritsar rural police, on whose instance he was tortured, is a relative of an Akali MLA. The 150-year-old baradari of Maharaja Ranjit Singh situated in the SGPC complex here was allegedly demolished by the committee to make space for an administrative block the foundation stone of which was laid by its president yesterday. Expressing shock over the demolition of the heritage building, Dr Sukhdev Singh, convener, Punjab Chapter of the Indian National Trust for Art and Cultural Heritage (INTACH), told The Tribune here today that the committee should have maintained the building at all cost. Another expert, Prof Balwinder Singh of Guru Ram Dass School of Architecture, affiliated to Guru Nanak Dev University, said it was a wrong step on the part of the SGPC to demolish the heritage building. The 2500-sq ft Baradari finds mention on page 67 in the book, “Tawarikh Amritsar”, published by the Dharam Prachar Committee. According to the book, the baradari was constructed during the reign of Maharaja Ranjit Singh. The building was made of Nanakshahi bricks and there were four rooms on its each corner besides a big hall in the middle. Red stones were used around the complex and many fountains were also set up to beautify the place. The King used the complex to change his monarchial dress before paying obeisance at the Golden Temple during his visit to the holy city. The president of the SGPC said the building was in a poor shape. The committee had sought views of the experts who opined that it could not be repaired. Meanwhile, Bibi Jagir Kaur, former SGPC chief, said there was no need to lay the foundation stone for the administrative block as she had already laid the one on November 1, 2005. However, the SGPC chief clarified that he had saved lakhs of rupees of the committee by handing over the work of the building to Baba Jagtar Singh of karsewa wale. He said as the contractor appointed by the former chief had refused to construct the administrative block, a resolution was passed by the five head priests to allot work to the Baba. The Congress has taken serious note of the dragging of the names in court cases of the all-India Congress committee (AICC) and the Punjab pradesh Congress committee (PPCC) by the government headed by Parkash Singh Badal. Leader of the opposition and senior Congress leader Rajinder Kaur Bhattal said today the Badal government was setting a wrong precedent. The AICC and the PPCC were in no way involved in the city centre scam. The allegations levelled by the state government against the AICC and the PPCC in a petition in the Supreme Court were baseless and politically motivated, she said. The Congress would strike back if the Badal government did not desist from dragging the AICC and the PPCC in court cases. “ We also know how to give a befitting reply to the SAD leadership on such issues”, she said. She said the government should immediately withdraw the references to the AICC and the PPCC in the petition field by it in the Supreme Court. “ Some political decency should be maintained by the Punjab government while handling legal matters”, she said. Meanwhile, Parminder Singh, general secretary, PPCC, and Gurkirat Singh, a youth Congress leader, said the Badal government was playing petty political games. They said the AICC had played a great role in the development of the country in the post- Independence period and the Congress was a mass- based party. Leader of the Congress legislature party(CLP) Rajinder Kaur Bhattal has sought an explanation from party MLA Sukhpal Khaira for criticising the party. Sources in the party said that Bhattal talked to Khaira on the phone and asked him to explain his position with regard to the statement published in various newspapers today. Speaking to mediapersons yesterday, Khaira had been quoted as saying that the “ Congress faltered and could not take on the ruling SAD-BJP combine on the law and order situation during the Dera Sacha Sauda controversy”. Khaira had further stated that even the BJP, as compared to the Congress, had taken a tough stance on this issue. At a meeting held here today, Congress MLA Jasbir Singh Khangura urged the British high commissioner to India, Sir Michael Arthur, to set up a full-fledged British consulate in Punjab. He said while the passport collection centre set up for visa purpose at Jalandhar provided a useful service, it fell far short of the service that the British Government should provide to Indians in Punjab and to NRIs in the UK. He urged the high commissioner to play a more active role in protecting the Indian assets, mainly land and property, of British citizens of Indian origin. These assets often lead to conflict within families and are often usurped by locals in connivance with the land mafia. Attention needed to be given to creating a register of such assets in India. It should be maintained by the commission and a “protector” be appointed for such assets. Numerous agents offering “advice” would be rendered useless if the High Commission could improve personal ID verification through fingerprint and other recognition technologies. This would reduce the number of repeat applications with new local documentation. The High Commission needs to have a more active communication strategy in Punjab, with regular road shows on UK visa and immigration policies and procedures, where Punjabis could raise specific queries. With numerous British citizens of Indian origin having been declared proclaimed offenders in Punjab, often on spurious charges largely connected with assets, these individuals need better advice and legal representation to redress their plight in this complicated situation, Khangura told the high commissioner. Consideration also needs to be given to selecting a panel of recommended lawyers in Punjab to defend the rights of NRIs, who often suffer from poor local advice. A large number of Punjabis wish to invest in the UK, but know little about the process. More active role is needed in encouraging smaller investments. Punjab today secured financial backing for development schemes worth Rs 1,000 crore from Nabard. A decision to this effect was taken by a Nabard team led by its chairman S.P. Thorat at a meeting with Punjab Chief Minister Parkash Singh Badal at his residence here. Thorat said that Nabard would provide Rs 533 crore during the current financial year besides clearing the backlog of Rs 420 crore for 2006-07. Out of the Rs 533 crore tranche meant for this year, Rs 123 crore was for the upgradation of the infrastructure in 246 schools to start the science stream, Rs 90 crore for the construction of rural roads that were not covered under the Prime Minister’s gram sadak yojana, Rs 80 crore for the cleaning of water channels for irrigation, Rs 20 crore for drip irrigation and water storage on farmlands, Rs 80 crore for the cleaning of ponds, Rs 40 crore for the upgradation of veterinary hospitals/polyclinics and Rs 100 crore for a skill development scheme. Nabard wanted detailed project reports sent to its office in Mumbai within one month to secure the money. Meanwhile, the Punjab cooperation minister, Capt Kanwaljit Singh, in a separate development, today impressed upon the Nabard chairman to provide finances to meet the short-term and long-term credit requirements of all farmers in the cooperative fold in the state. Capt Kanwaljit Singh demanded that Nabard should enhance the refinance from the existing 40 per cent to 70 per cent of the advances. The state cooperative bank has chalked out a plan to disburse Rs 6,000 crore as short-term loans to farmers of which the share of Nabard was pegged at Rs 2,400 crore. A middle-aged woman, who had come to Amritsar for religious service, today got freed from the clutches of a 55-year-old man in Riar village in Ajnala subdivision, thanks to the initiative taken by local women. The police has registered a case of illegal detention against the man. The victim, who had come here from New Delhi, told the police that she had come to the Golden Temple about four years ago and spent a year doing “sewa” at the temple. There, she met with a woman, who introduced her to this man, identified as Virsa Singh. He claimed to be an ex-serviceman. On Virsa’s offer, she agreed to stay with him in his house in the village. “He soon started exploiting me and used to beat me up whenever I resisted his moves,” she alleged. However, SHO Ashwani Kumar said the woman and Virsa were married and had been staying together since 2004. Trouble started only last week when the accused started beating her up and locked her in the house whenever he was away to some place. The local women said they had been hearing desperate pleas of the woman for help for the past few days. Today, they decided to rescue her. “We tried to convince him not to be cruel to her. However, he continued to beat her up and the condition of the women had been deteriorating with each passing day. She could barely move. “When Virsa returned home this morning, he was given a thrashing and was forced to set the lady free. He was later handed over to the police,” she added. According to the police, the accused also produced an affidavit, which said the two had got married in 2004. However, the affidavit was not duly attested. Three persons, including one woman, died and six others, including two children, fell unconscious after suffering sunstroke in this town which is in grip of heat wave for the past 10 days. A ‘sadhu’ identified as Sukh Lal, Surjeet Kaur, who visited the local civil hospital for taking some medicines and one unidentified person died at three separate places after suffering sunstroke today. The total toll due to heat wave sweeping the town, has touched 17 so far . Six persons, including two children, who also suffered sunstroke, had been battling for life in local civil hospital and other hospitals of the town. Denied pension for 29 years, Gurnam Kaur, paralytic widow of freedom fighter Tara Singh Brar of Moga, finally has seen some compassion from the Punjab government. A month after the 90-year-old woman sat on indefinite fast in front of Moga deputy commissioner’s office to protest against official indifference to her cause, the government has sent her a cheque of Rs 50,000. The cheque, delivered by SDM, Nihal Singhwala, seeks to appease the woman threatening the authorities with dire consequences if her right to pension was not recognised. Earlier, when she sat on fast in front of the DC’s office at Moga, officials were embarrassed enough to spend hours convincing her to go home. “They had promised to pursue my case and this is what they have sent in return for the sacrifices of my husband. They still don’t treat him a freedom fighter although Indira Gandhi herself gave him a tamra patra in 1972. My case is nowhere near settlement,” Gurnam Kaur told The Tribune today. In fact, the cheque sent by Punjab government was also accompanied by a letter, which clarified Rs 50,000 would be adjusted from the pension account of the widow, when the it got activated. The letter added the money be treated as grant, if the pension did not get released. The government now has referred Gurnam Kaur’s case to the Centre. The case has been stuck for decades for want of documents required under rules. Anyone claiming freedom fighters’ pension must either have documentary evidence to prove participation in the freedom struggle - jail records, arrest warrants etc or statements of two contemporaries of the freedom fighter in question, assistant commissioner (grievances), Moga, said. Gurnam Kaur doesn’t have any documents. Although Freedom Fighters department, Punjab had called for her file when she sat on dharna on May 15, it could not help much. Blame it on rules, the case remains mired as ever and has now been sent to the Centre for consideration. The assistant commissioner (grievances) Moga had recommended Gurnam Kaur’s case in his report to the state government. He had mentioned her husband was jailed in Attock, Pakistan, from where records can’t be summoned. He also added Tara Singh’s colleagues are dead; therefore their statements can’t be obtained. The government has declared three more protected areas under the Wildlife (Protection) Act, 1972 for the conservation of biodiversity in the state. Minister for forest and wildlife preservation Tikshan Sud said here today that the notification in this regard had been issued. The government had approved the Kathlaur-Kushlian wildlife sanctuary comprising protected forests over 346 acres in Kushlian and 1,550 acres in Kathlaur and adjoining area of Raipur, Bahadurpur and Jaswa villages in Pathankot tehsil. The government had also approved the case for the declaration of Keshopur-Miani wetland community reserve comprising 850 acres of the Panchayat area of Miani, Keshopur, Matwa, Dalla and Magarmudian in Gurdaspur district. Another area of approximately 3,167 acres rich in biodiversity at Lalwan village in Garhshankar tehsil of the district had also been approved as the Lalwan community reserve. Community reserve management committees comprising representatives nominated by village panchayat, NGOs and honorary wildlife wardens for protecting the environment and biodiversity in these protected areas would soon be set up. There was long-standing demand from people of these areas to set up such reserves, so the community reserves were being declared in the state for the first time and would jointly be managed with the active participation of the locals, panchayat, forest and wildlife officials. The state government would seek funds under centrally-sponsored scheme from the Union ministry of environment and forests for the development of these areas. Previously, the state had 11 wildlife sanctuaries in Patiala, Sangrur, Ferozepore, Hoshiarpur and Rupnagar districts covering an area of about 31,612 hectares. Adding additional areas of 2,364 hectares in the protected area network in the state would help in conserving, protecting and promoting biodiversity and environmental conservation, which is urgently required at the moment. The Punjab government today launched a survey of all 20 districts to identify the villages to be covered by the World Bank-funded Rs 1,280 crore rural water supply scheme. At a meeting held here, Bikram Singh Majithia, water supply and sanitation minister, finalised the plan of the project. He constituted field teams headed by superintending engineers which, in liaison with the MLA concerned, would first identify the villages and then motivate the panchayats to become a part of this development programme. Local patients can avail of various facilities at Government Rajindra Hospital which is now equipped with latest machines. Officials of the hospital stated this at a function held here today. They said the hospital had latest costly equipments for the treatment of chronic diseases, including cancer. The paediatrics and gynae wards had been renovated to give a soothing and refreshing look, they said. Dr Jai Kishan, medical superintendent of Patiala TB Hospital, lauded the efforts of his team for treating TB patients. The Health Department announced to supply two ventilators, two X-ray plants, two water coolers and 75 beds to the Government Dr Khushdeva Singh TB Hospital. Mohan Lal Gupta, a senior advocate, and Pran Sabharwal, director, National Theatre Arts Society (NTAS), were among others present on the occasion. Punjab local bodies minister Manoranjan Kalia today said the government had decided to introduce the self-assessment scheme for depositing house tax in cities and towns of the state. Separately, he emphasised that more revenue needed to be generated as 83 out of 129 municipal committees were spending more money on meeting the expenses on salaries and running the office than was warranted under the norms. Kalia told mediapersons that residents or owners would assess the value of their immovable property and accordingly deposit the house tax with the MCs. The ongoing controversy over the Pathankot civic body chief today ended when 19 municipal councillors passed a no-confidence motion against Sarwan Kumar, president of the local municipality. Only 10 councillors voted in favour while three were absent. A post of municipal councillor has been lying vacant after his death. Members of the Ek Noor Khalsa Fauz, led by district convener Jaswant Singh Ladha, today burnt copies of a Punjabi daily being published from Jalandhar, at the Barra chowk in front of the city police station here. They also raised slogans against the newspaper. In view of an increase in the number of devotees visiting religious places in Pakistan, Northern Railway has attached an additional coach to Samjhauta Express. A note regarding this was received here by All-India Hindu Shiv Sena (AIHSS) leader Surinder Kumar Billa. Two persons, including a nine-year-old schoolboy, were killed in separate road accidents in the subdivision. Amandeep Singh was killed when a speeding car allegedly hit him near Pakki Rurki village on the Kharar-Morinda road. Sukhwinder Singh, a youth of Burki village, was injured seriously after he was hit by an unidentified car on the Kharar-Kurali road yesterday, the police said. He later succumbed to his injuries. Following trouble between the followers of Dera Sacha Sauda and members of the Sikh community at Cheema Mandi (near Sunam) yesterday, normalcy returned to Cheema town today. However, with a view to maintaining law and order in the town, a flag march, led by Sunam DSP Joginder Singh, was taken out by the security forces. While talking to The Tribune on phone, in charge of Cheema Mandi police chowki Harjinder Singh said the police had arrested Piara Singh and Bikar Singh, residents of Cheema Mandi, in connection with a case registered against them the previous day. He said they were produced in a court at Sunam today, which remanded them in judicial custody till June 28. The Cheema chowki in charge said the police had also registered a case against eight persons by name and the mob, comprising members of the Sikh community. However some of them today joined the police investigations, he added. The complainant in the case of forgery against Punjab transport minister Master Mohan Lal closed preliminary evidence in the court of sub- divisional judicial magistrate H.S. Gill, here today. The court fixed July 25 next date for arguments. Counsel of the minister, however, sought a particular date but the court turned it down. Karnail Singh, assistant sub-inspector, Punjab Police, who is posted at the Civil Lines police post here, along with seven other persons, was arrested when he made an attempt to grab a piece of land located at Guru ki Nagri area of this town today. Karnail Singh and others were arrested when the accused were trying to raise a wall on the vacant plot with an intention to grab the same. Police sources said the accused had even brought bricks to raise the wall. Karnail Singh had entered into an agreement with Ranjit Kaur for purchasing a plot, which was part of a school located in Guru ki Nagri area. As per the agreement, the accused was supposed to get possession of that plot by July 27 by making some payment to Ranjit Kaur. The accused had paid Rs 3 lakh as advance money. He allegedly misbehaved with Ranjit Kaur and her kin. A case under Sections 447, 511, 148, 149 and 506 of the IPC has been registered in this connection. Government doctors in the state will supervise the conduct of the Punjab Pre-Medical Entrance Test (PMET) scheduled for July 8. The Baba Farid University of Medical Sciences is to conduct the test and with only 200 employees on its rolls, the university has no option but to garner help from doctors working in government medical colleges and hospitals for the conduct of the test. Ravinder Singh, vice-chancellor, said over 10,000 candidates were expected to appear in the test. “The test centres have yet to be finalised. All centres could be in one city or spread all across the state, depending on how much staff we have,” he said. This year the VC is, however, not taking any chances. He has written to the DGP requesting that all preventive steps should be taken to ensure that the question paper is not leaked. “The police should be on the look out for the paper leak mafia getting active. The mafia operates almost openly. We have requested the DGP to press intelligence agencies into service and stop such links from developing,” said Ravinder Singh. He said copies of the letter had also been sent to the home secretary, the health secretary and the director, Vigilance Bureau. Interestingly, this year the number of seats being offered by the university for admissions is still not final. “The Amritsar and Patiala medical colleges are facing de-recognition from the Medical Council of India (MCI). Till the MCI writes to the government clearing their cases we cannot ascertain the total number of seats which are available in these colleges,” said the VC. Other than admitting students to the government quota seats in over 26 private medical, dental, homoeopathy and ayurvedic colleges, the university will also be filling the 50 per cent management quota seats in private colleges. “The private colleges in the state have not been allowed to admit students directly. Admissions to management quota seats will be done by the university, based on the PMET merit,” said the VC. The state government is planning to constitute an experts’ committee for establishing an ayurvedic university in Hoshiarpur. This follows a proposal submitted by Government Ayurvedic College, Patiala, to the ministry recently. Besides constituting the committee, the government is also planning to tie up with the Centre for establishing the university, according to minister for medical education and research Tikshan Sood. The government has asked the Patiala college principal Ashwini Kumar to send a proposal for setting up the university, besides the number of posts, funds, equipment and the infrastructure needed for making it a reality. The college has demanded 20 to 22 teachers, including a director and a deputy director, hi-tech equipment like ultra-sound, X-ray machines and inclusion of subjects like yoga, naturopathy, immunology and allied subjects on the line of the two state ayurvedic universities being run in Rajasthan and Gujarat. The proposal calls for removing the shortcomings faced in ayurveda teaching in the state. 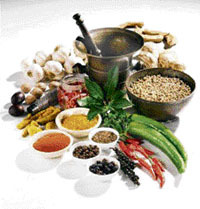 It highlights that the teaching of ayurveda has been suffering in the state because it has no independent directorate and has been under the control of agencies running allopathic medicine. Ashwini Kumar said, “The university will give an independent identity to ayurveda teaching in the state. Only ayurveda experts can decipher our terminology and decide on the fate of this ancient stream of medicine in the region. So far, under other universities and directorate of allopathy, the condition of ayurveda teaching has deteriorated to a great extent.